Our qualified technicians are knowledgeable about all of the chemicals they use. Our perimeter treatment controls ants, spiders, earwigs, wasps etc. Our Termite department will perform a thorough inspection of the home, including termites, dry rot, fungus and other wood destroying organisms. Looking for a pest control company that can do a great job for a great price? You found it. Foothill-Sierra Pest Control. We are a family-owned company based in the Sierra Nevada foothills under the same ownership since it began in 1977. 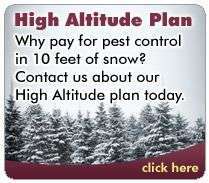 Our service programs are designed for our area and the pest problems here. We are one of the region’s largest pest control companies and are the largest weed control company. We offer a wide variety of services. With fast response, guaranteed results, professional service and fair prices, we feel confident you will be pleased working with us.